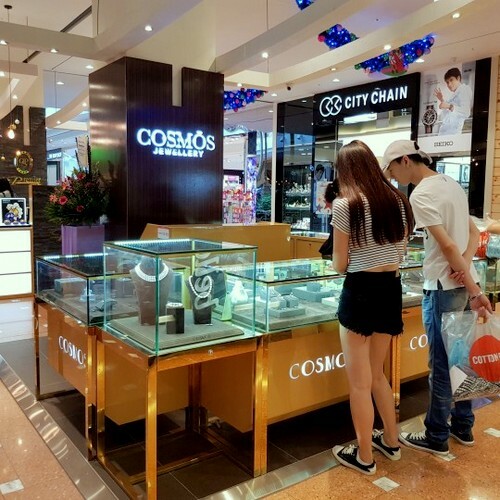 Cosmos Jewellery store has four locations in Singapore, including one counter within Jurong Point shopping mall (1 Jurong West Central 2). The stores offer a range of reasonably priced jewellery featuring flawless synthetic diamonds, synthetic gems, natural gems, and supreme pearls. Visiting one of the shops, you can purchase earrings, pendants, necklaces, rings, bracelets, Cosmos Pearls, and De Soleil Synthetic Diamonds. To browse the company’s full range of jewellery, you should visit the official website. The official website, at www.cosmossg.com, also contains sections for reviews, information about their wholesale operation, and much more.